For the past ten years or so, there has been global acceptance within the marine industry that a paradigm shift in the use of bunker fuels would be an inevitable consequence of the establishment of Emissions Control Areas (ECAs) under the provisions of the International Maritime Organization (IMO) MARPOL Annex V1 legislation. The initial ECAs in the Baltic and North Seas were followed by a North American ECA extending approximately 200 nautical miles offshore from the east and west coasts of the United States and Canada and which the U.S. subsequently extended to its territories in the Caribbean. 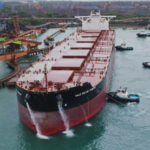 In parallel with the establishment of ECAs, ship owners have been faced with increasingly stringent specifications of allowable bunker fuel which on January 1, 2020 will culminate in a global standard of 0.5% maximum sulphur content. In the meantime, China (including Hong Kong) and the European Union have adopted their own mandatory fuel standards for vessels at berth outside of the strict IMO framework. For their part, a small number of ports have elected go one better by investing in the provision of shore power at berth in tandem with incentives for ships to shut down their generators while alongside. The Port of Vancouver was an early leader in this field at Canada Place and is currently expanding the program to container terminals. A key aspect with shore power is that in addition to eliminating vessel emissions while at berth, it also addresses the issue of noise from vessel generators, a frequent source of complaints from residents in close proximity to marine terminals. With the direction of legislation firmly set by the IMO and with many ship owners keen to be leaders in Corporate Social Responsibility, the move to develop solutions has slowly gained momentum. A heavy initial focus on the installation of Exhaust Gas Cleaning Systems (scrubbers) in lieu of burning low sulphur fuel or gas oils was accompanied by research into hybrid diesel and LNG capable marine propulsion systems. In a recent report published by the leading naval architecture and engineering consultancy Foreship. it was predicted that up to 30% of commercial shipping will gravitate back to high sulphur fuel oil by 2030 as scrubber technologies improve. 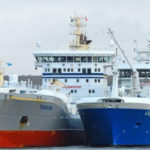 Not everyone agrees, hence the momentum towards LNG fuelled propulsion as a credible and economical long-term solution to the global marine industry’s stated commitment to playing its part in meeting the goals of the Paris Climate Agreement. So, what are the obstacles? The most obvious is of course the lack of a global LNG bunkering infrastructure. 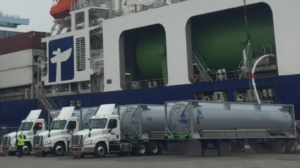 Just as the switch from sail to coal generated similar logistical challenges, some of the best and brightest minds in our industry have been scratching their heads to come up with a credible solution to meet future demand for LNG bunkering. Simultaneously, bunker suppliers are understandably reluctant to commit to major investments in an LNG bunkering infrastructure before they are convinced of the demand. The answer of course lies in partnerships. The successful switch to LNG fuelled ferries in the Baltic Sea and Europe is now well underway. Initial reliance on LNG tanker trucks has in many cases evolved into fixed installations or more commonly, purpose built LNG bunker tankers or tug assisted purpose-built barges. 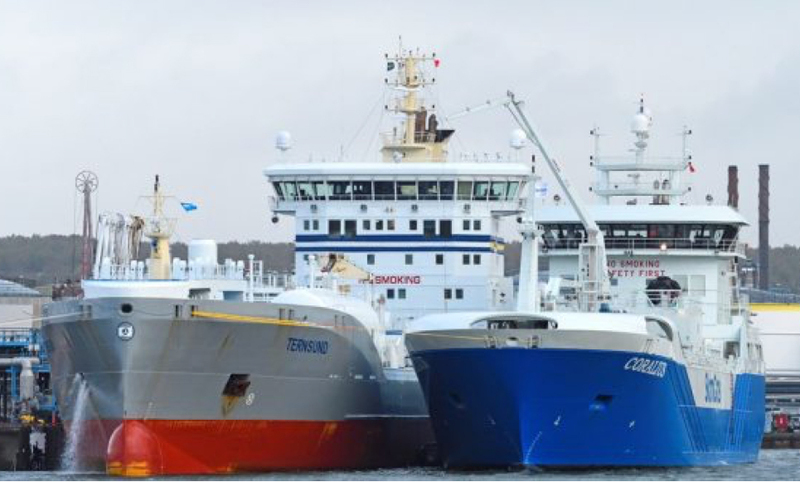 The major ports in Europe have also made no secret of the fact that they see the provision of LNG bunkering capability as a commercial imperative, hence the decision of many to get ahead of demand. Here in British Columbia, BC Ferries new Salish Class vessels and Seaspan’s new Trailer Ferries (Swift and Reliant) were built for dual fuel propulsion. BC ferries also currently has the Spirit of British Columbia in the Remontowa Ship Repair Yard, Gdansk, for conversion to duel fuel and extensive mid-life upgrades to be completed by the Spring of 2018. Spirit of Vancouver Island will follow in the fall of 2018 and complete in the Spring of 2019. By using LNG instead of conventional diesel, BC Ferries expects to save approximately $9 million on the Spirit Class vessels alone. We should also mention that Tote Maritime has committed to conversion of it’s two Tacoma based Orca Class ro-ro container carriers Midnight Sun and North Star to LNG propulsion while also building two 3,100 TEU capacity hybrid LNG fueled Marlin class container vessels for the company’s Jacksonville to Puerto Jones Act trade under a MARAD sanctioned a $324.6m loan guarantee. Both Crowley and Matson have also ordered LNG fuelled propulsion for new ConRo vessels under construction for their own Jones Act protected trades. However, many have been waiting for a real game changer. This may have occurred in September 2017 with the announcement from CMA CGM of a $1.2 billion order for 9 x 22,000 TEU capacity LNG powered container vessels. The project is a collaboration between CMA CGM, China State Shipbuilding Corporation (CSSC), Gaztransport & Technigaz (GTT) and Bureau Veritas. The new ships, the first of which will be delivered in 2019, will have a bunker capacity of 18,600 m3 which represents a significantly higher volume demand than any previous commercial vessel. The additional new build price for LNG propulsion is estimated to be $17 million per vessel and the company has selected an affiliate of France’s Total Group, Total Marine Fuels Global Solutions, to develop a tailor made bunkering solution to support these vessels which are inevitably destined for the Asia to Europe and return trade loops. So, what are the bunkering solutions? Our October 13, 2017 Ship of the Week featured in the Chamber of Shipping’s weekly newsletter (and on my website) provided an example of one such major investment, the 5,800 cbm capacity duel-fuel LNG bunker supply vessel Coralius. Commissioned in May 2017, owned by Anthony Veder and Sirius Shipping, chartered by Skangas of Norway, she is the first such vessel to be built in Europe and being 1A Ice Class is intended for service in the Baltic and North Seas. 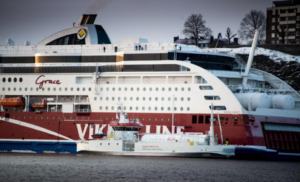 Turning to the example of the Baltic ferry industry, the real trend setter in duel-fuel propulsion systems, Viking Line has partnered with Swedish AGA Gas for bunkering of LNG using the purpose- built vessel Seagas, shown above in Stockholm while bunkering the LNG fuelled Viking Grace. Elsewhere in Europe, the major ports of Hamburg, Antwerp, Rotterdam and Zeebrugge are all now offering some form of LNG bunkering infrastructure. By way of example, the Port of Rotterdam has partnered with Shell to provide the 6,500 cbm capacity dedicated LNG bunker vessel Cardissa with a similar vessel to follow. 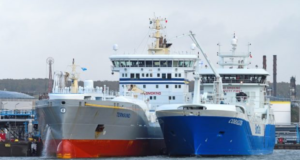 In December 2017, the Estonian port of Tallinn, a major ferry hub, announced discounts of 4 per cent on harbour dues to all vessels using LNG as a primary fuel. Direct from an LNG liquefaction plant, which will have a cryogenic pipeline directly to a bunkering dock. Of course, it’s not all about container ships and ro-ro vessels. The advent of ECAs has considerably impacted fuel costs for the cruise industry. While investing in the retrofit of a number of existing vessels with scrubbers, there is a growing momentum towards LNG for the future with Carnival, MSC and Royal Caribbean leading the way. As things stand, 13 of the 73 cruise ships to be delivered between now and 2026 will be LNG fuelled. 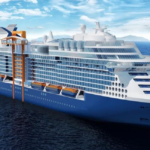 Of seven on order for the Carnival Group, the first two 5,200 passenger capacity vessels will be delivered in 2019. MSC Cruises has four mega LNG fuel cruise ships on order with STX France for delivery by 2026 and Royal Caribbean has placed an order with Meyer Turku for two LNG and fuel cell powered vessels to be built on a prototype platform, with deliveries in 2022 and 2024. To this end there is a recognition by U.S. home ports for cruise ships that there is an urgent need to advance LNG bunkering solutions if they wish to remain relevant. In response, Shell Trading (US) has signed a long-term charter agreement with Q-LNG Transport for an LNG articulated bunker barge to service the cruise industry in Florida. With capacity for 4,000 cbm of LNG, the barge will be owned and built by Q-LNG Transport, and operated by Harvey Gulf International Marine. Artist’s impressions of the Q-LNG Transport ATB under construction in the U.S.
Further afield, ports in Asia are also bowing to the inevitable. Korea is an obvious hub for LNG bunkering and is moving in that direction. Likewise, Japan has nominated Yokohama to be that country’s initial LNG bunkering hub and China has approved the development of an LNG bunkering hub at the strategically located port of Zhoushan on that country’s central coast. Long a visionary leader in recognizing the trend towards maritime dependency on LNG fuelled propulsion systems, the Maritime and Port Authority of Singapore (MPA), has, in addition to building a major LNG distribution hub for S.E. Asia, initiated an LNG bunkering pilot program involving up to 6 LNG fueled harbour craft to a maximum of S$2 million per vessel. The objective is to determine the optimum mode of LNG delivery as the port seeks to maintain it’s status as the world’s No.1 bunker port. Of the S$12 million allocated for the co-funding program, S$8 million has been awarded to Harley Marine Asia, Keppel Smit Towage and Maju Maritime on the understanding that the vessels to be built will include tugs, bunkering barges and/or small tankers. Going one step further, and in order to encourage the uptake of LNG, MPA has waived five years of port dues for new LNG-fuelled harbor craft that register between October 1, 2017, and December 31, 2019. To complement this effort, MPA will also grant an additional 10 percent concession on port dues to qualifying LNG fuelled vessels as part of the Green Port Program. So, what are the conclusions? Not every port can be a trend setter, most will inevitably be trend followers. However, the end game is clear, the path to LNG fuelled propulsion is set and not just for the cruise, ferry, container and ro-ro sectors. Specialized LNG fuelled cement carriers are already in service and Hyundai Mipo has just delivered the first LNG fuelled 50,000 DWT LNG fuelled bulk carrier. It is also no secret that designs are well advanced for LNG fuelled Capesizes. As a final comment, one thing seems sure. The foundation for development of LNG bunkering options comes back to partnerships given the scope of logistical, technical and financial issues to be resolved for any project to succeed. While a short article such as this does not do full justice to the subject, I hope it has at least provided you with a small insight of the journey we are on. 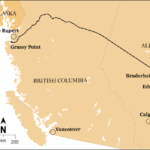 Can Eagle Spirit Succeed Where Northern Gateway failed? 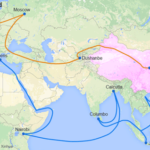 What is the Baltic Dry Index?